One of my least favorite things about owning an old house is the fact that, somewhere down the line, a lazy person painted over all of the hardware throughout the house. This includes doorknob escutcheons, window hardware, light switch plates, and the wall registers. I’ve seen a bunch of products that are intended to remove paint from items like these, but was really put off by the warning label on one. It said that I should cut off the power to the room in which I’m working so that the fumes don’t ignite when they come in contact with electrical outlets on the floor. Scary stuff. Our first summer of homeownership, I decided that I’d remove the paint from all of the doorknobs and escutcheons throughout the house. 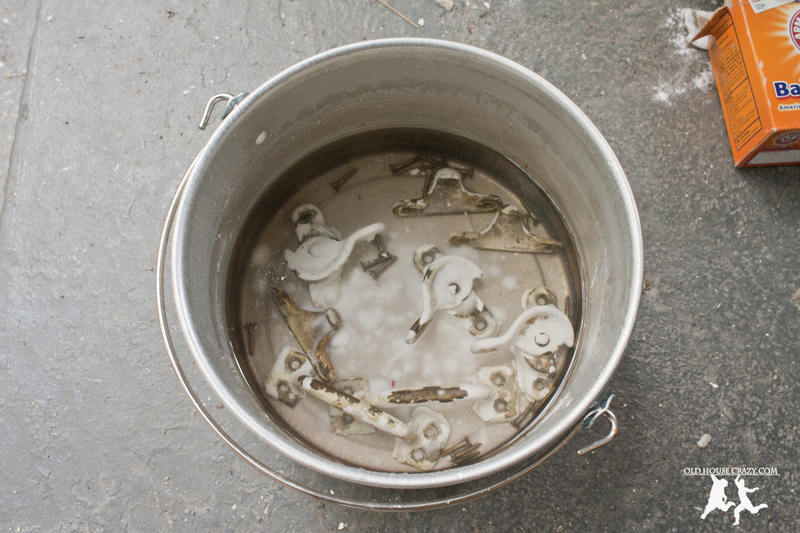 I googled and found an approach that seemed all too easy to me: boil the hardware in water and baking soda. 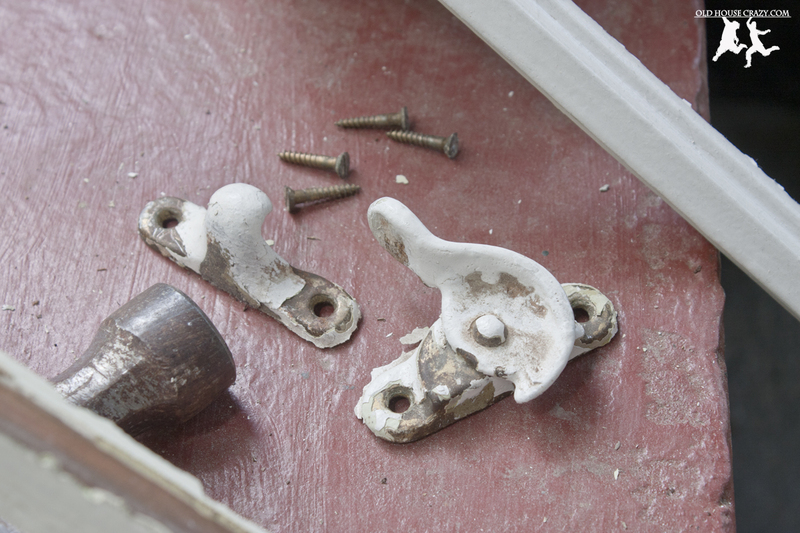 That summer, I removed all of the doorknobs and door hardware, boiled them, and replaced them. It was my first big success as a DIYer in my old house. 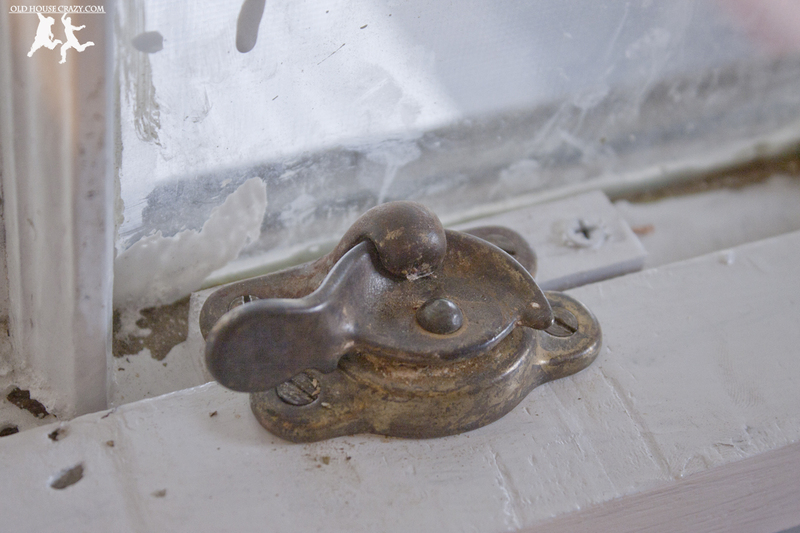 As with any old hardware, the first step to removing the paint from these window locks was to remove them from the old window sashes. Since the screw heads were completely covered with paint, I had to scrape that off with a flat-head screw driver. Use caution not to damage the lock or the screw. Yes, I worry about the screws. 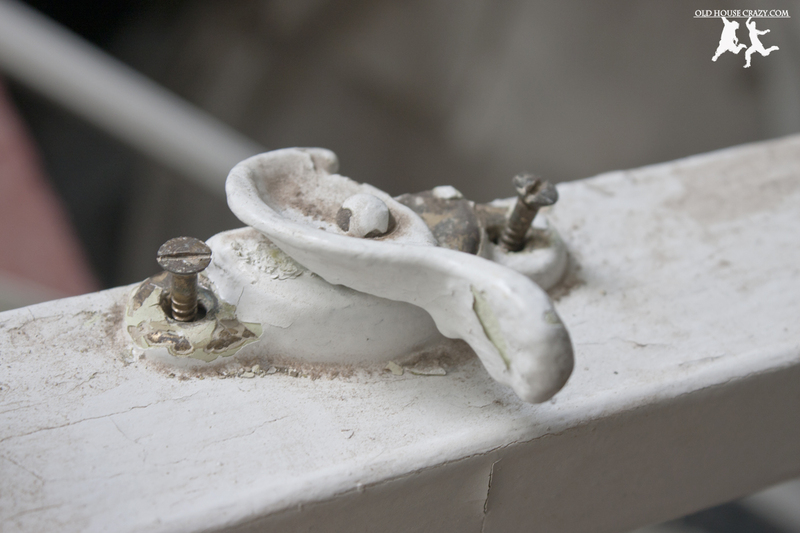 Most of the old screws match the hardware, so you want to replace as few as possible. Once I uncovered the screw heads, I used the same flat-head screwdriver and a rubber mallet to clean out the groove in the head of the screw. Just tap tap taperoo until you scrape all of the paint out of the groove, or at least enough so that you can unscrew it. 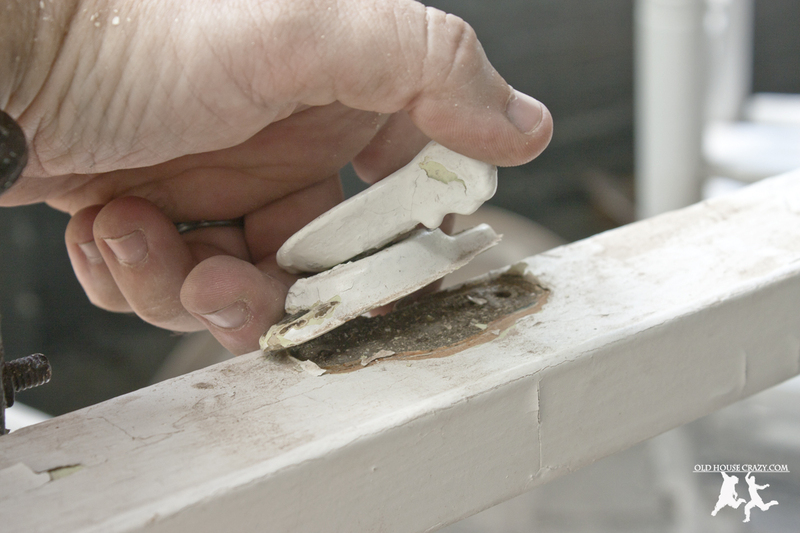 If you’re not planning to repaint the window sash or whatever your hardware is attached to, you need to trace the outside edge of the hardware with a knife so that you don’t damage the paint when you lift the piece. Since I was planning to repaint the window sashes, I didn’t take any care when ripping off the locks. My next step was to place all of the hardware into a pot of water and mix in some baking soda. I didn’t measure. I just threw some in the pot until I was happy. It’s not an exact science. 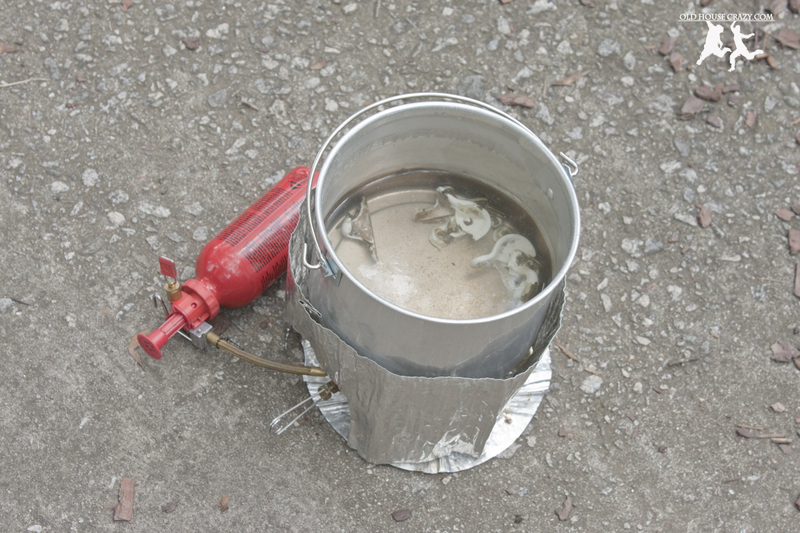 I used a backpacking stove so that I could do this cook outside. You can do it inside, but the smell is something awful. Open a window or something. Once they’d boiled for about thirty minutes, I set the pot aside and let it all cool off. Most of the paint peeled right off of the metal. 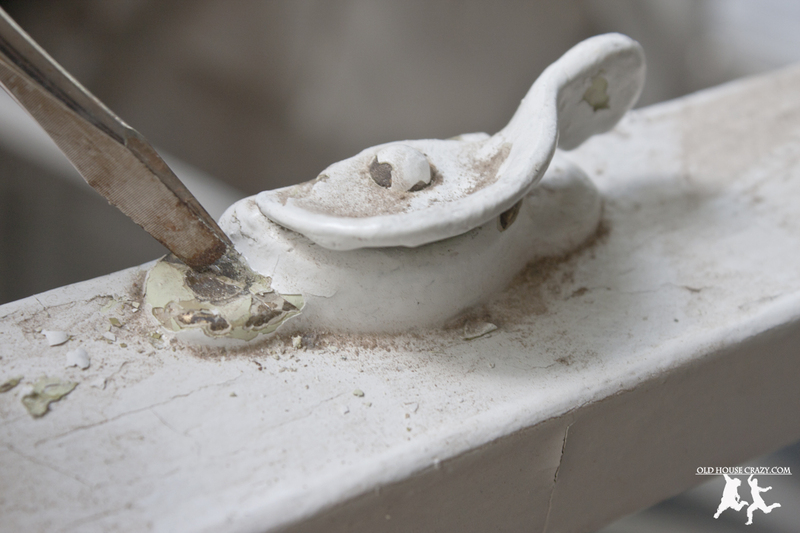 Any that doesn’t can be removed with a wire brush. 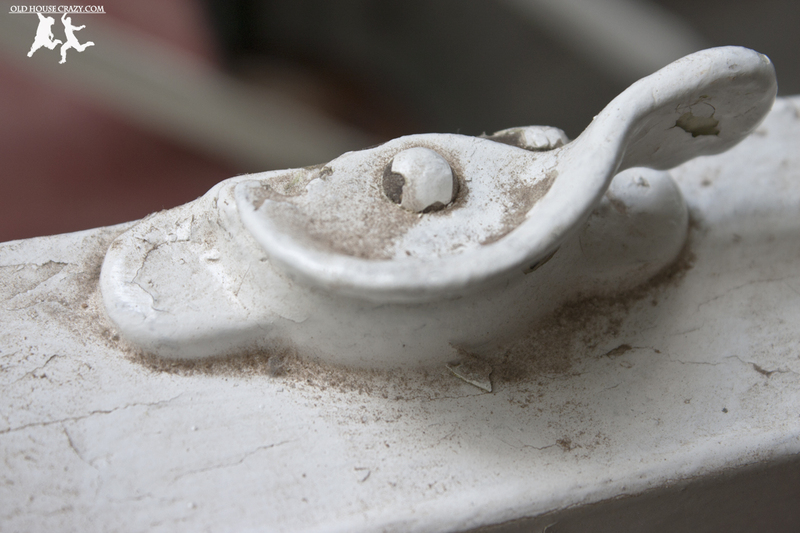 Here’s the final product, reinstalled on the window sash with the original screws. You can see that I cut a tiny piece of wood to lift the back piece of the lock up so they would meet properly. 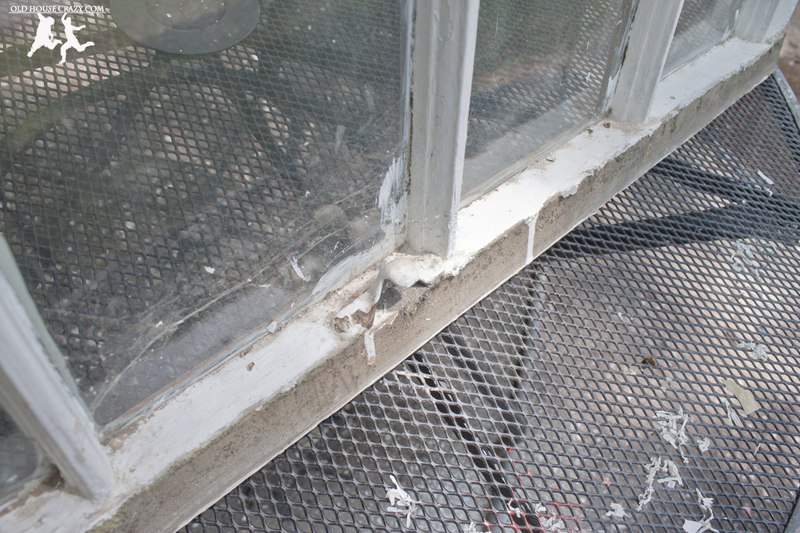 These old windows don’t always fit properly, but that doesn’t mean they can’t still be fully functional. Thanks for reading. 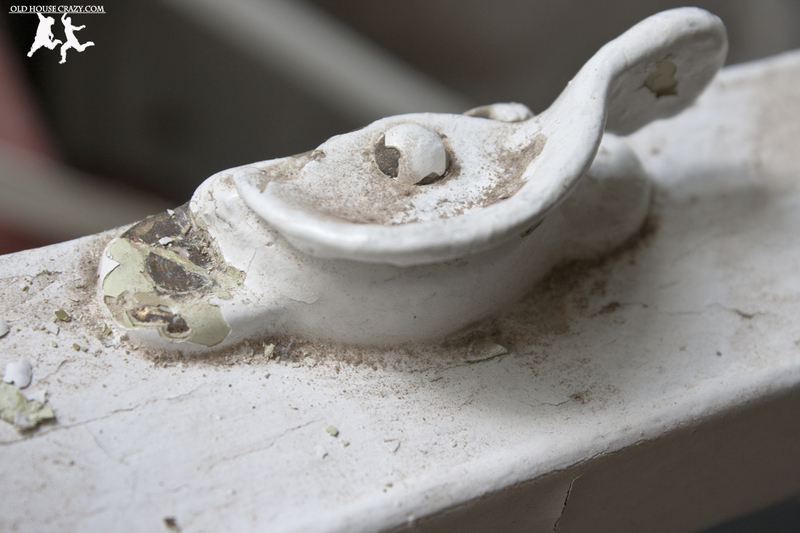 If you’ve got any questions about this post or the site in general, email us at oldhousecrazy@gmail.com. This entry was posted in Better than store bought, DIY, Don't Hire a Professional, Eco Friendly, House Repairs, Old Hardware, Painting, Restoration, Tools and Techniques, Windows and tagged DIY, diy project, don't hire a professional, eco friendly, house repairs, old hardware, painting, removing paint, tools and techniques, tricks, windows. Bookmark the permalink. I know this is an old post however I am just finding your site and am working to restore 22 original window in a 1924 house in New England. I did the same boiling technique and just wanted to add I also polished the HW with WD-40 and steel wool after and they now look super nice with antique polished brass patina. Just thought I’d pass along to anyone else finding this thread.